1) How will this course benefit your organization? 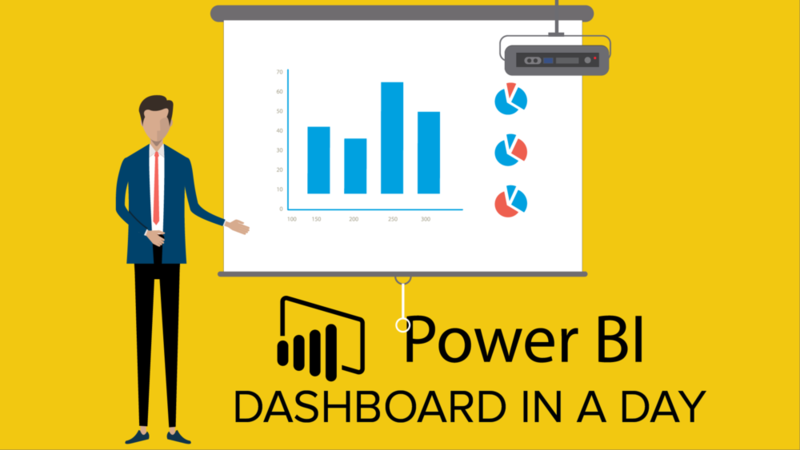 The case for adopting Power BI for your enterprise analytics is beyond the scope of this post but I will mention that for those who have already adopted Power BI or have kinda done so, deciding on this free one day course is a no-brainer. And for those who are considering Power BI, this free course along with the very cost-effective nature of Power BI, offer you a risk free approach to finding a match for power BI in your organization. This Dashboard In A Day Workshop is free to you, generously co-sponsored by Microsoft and FreshBI. Its rare to get to spend a full day with Power BI pros. Grind them with questions that will propel your organization into success. BYOD is the chance for you to bring your own data and apply what you learn during the workshop to the audacious analytics goals you have for your organization. The purpose of the workshop is to prepare you to be the hero. Return to the office with the skills to realize the analytics goals that your organization has. 2) What content is covered in the Dashboard In A Day Workshop ? For access to the complete course content, download the course content at the link above. Below is a list of all the most salient topics covered in the Dashboard In A Day workshop.